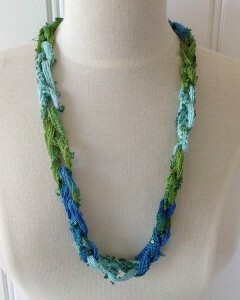 This Fabulous Necklace is made from Mary Maxim’s Fabulous Sequins yarn, but that’s not the only reason it’s fabulous! You can use a large crochet hook for this project, such as a 12 mm or larger, or finger chain the necklace as shown in the video below. 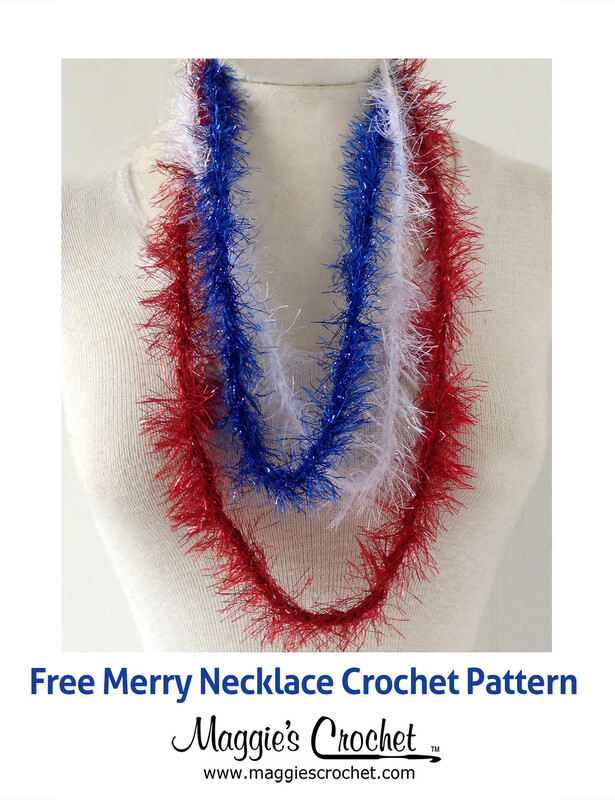 Click the photo for the Fabulous Necklace pattern. Fabulous Sequins yarn is often used for ruffled scarves, but its multi-colors and fun sequins make it great for other projects as well. Depending on how long you make them, you can likely get a scarf and necklace out of the same skein! 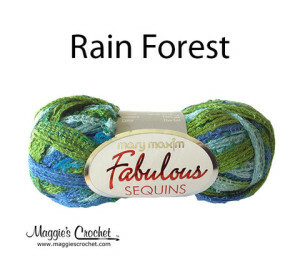 Click the photo for Fabulous Sequins yarn. If you need are new to crochet and need a little help with the chain stitch, check out Maggie’s in-depth tutorial here. 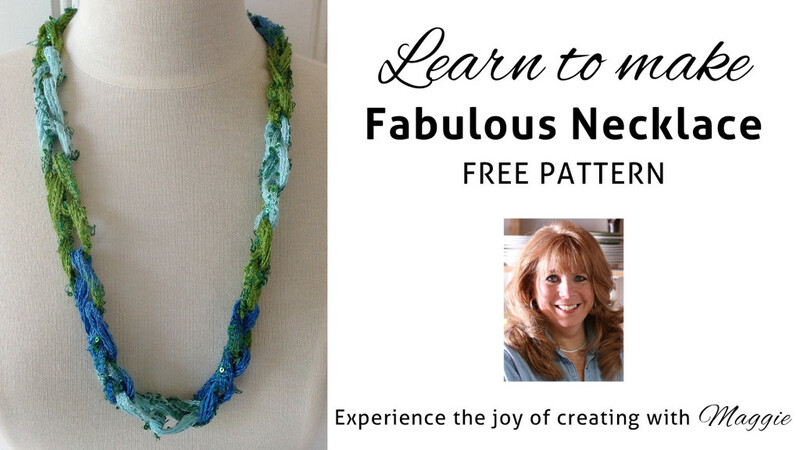 Maggie is excited to offer Seven Free Chain Necklace Patterns: Dash Necklace, Fabulous Necklace, Ribbons Necklace, Starbella Lace Necklace, Starry Night Necklace, City Life Necklace, City Life Loopy Necklace. Sunday Surprise Pick – Crochet Tip: No Lines!